What happens when the research underpinning conservation is wrong? 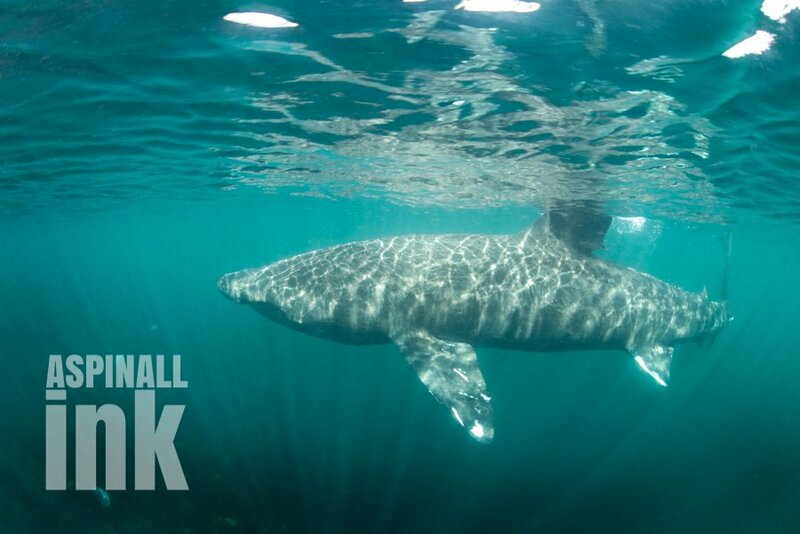 The Basking Shark (Cetorhinus maximus) can reach lengths of up to 12m and is the largest shark in British waters and the second largest in the world after the Whale Shark. Both are plankton feeders, and it is the plankton rich water (primarily along the West Coast) during the spring and summer months which results in these giants visiting our shores. Originally it was thought that basking sharks were indiscriminate filter feeders, engulfing whatever was suspended in front of them. However, Sims et al have shown that sharks elect to feed in waters which contain higher concentrations of their preferred prey species which happen to be planktonic shrimp. It is not known for certain how sharks actually locate high concentrations of these shrimp but there are currently a couple of theories. One theory is that sharks are capable of detecting the odour of dimethyl sulphide (DMS) emitted by phytoplankton when it is being grazed on by zooplankton. The second theory is that the sharks can detect activity of their prey using their electroreceptors known as Ampullae of Lorenzini. Basking sharks feed at varying depths in the water column exploiting optimal food sources (deep sea shrimp have been found in their stomach contents). Sims et al reported that sharks do not feed when the plankton concentration is less than 1 gram of plankton per cubic meter of water, presumably because it is energetically not worthwhile. The higher the plankton concentration, the longer the sharks feed. When the plankton reach concentrations of 3 grams of per cubic meter of water the sharks will feed for up to two and a half times longer than when it’s at 1 gram. When they find a good place to feed they adopt a zigzag swimming pattern, this behaviour is termed “area restricted searching” or ARS. A preference for feeding occurs at current fronts where two water masses of different temperature meet. When the sea is calm less mixing occurs and the water stratifies into different layers, typically warmer on top, cooler below. This may result in the plankton experiencing low nutrient levels. Therefore plankton levels are higher where waters of different temperatures mix, such as at a thermal front. These fronts can be seen as almost slick lengths of still water and can be very useful for spotting sharks near the surface, these fronts can also collect quantities of debris such as jellyfish and seaweed which can make their identification even more obvious. Basking sharks feed by a method known as obligate ram filter-feeding (Whale Sharks feed by a different technique known as suction feeding). They cruise along when feeding (typically around 1.9 miles per hour), with their mouth wide open, allowing the plankton rich water to pass through the gill slits where it is filtered out by gill rakers, near the rakers are cells which secrete large quantities of mucous when the shark closes its mouth (usually after 30-60 seconds), the rakers collapse squeezing the plankton mucous mixture into the mouth so it can be swallowed. Many thanks to Richard Aspinall for the use of his images in this post. Sims D.W. (1999) Threshold foraging behaviour of basking sharks on zooplankton: life on an energetic knife-edge? Proc. R.Soc.Lond. B.266:1437-1443. Sims D.W.(2000) Filter-feeding and cruising speeds of basking sharks compared to optimal models: they filter-feed slower than predicted for their size. Jour. Exp. Mar. Biol. Ecol. 249: 65-76. Sims D.W., Fox A.M. and Merret D.A. (1997) Basking shark occurrence off south-west England in relation to zooplankton abundance. J.Fish.Biol 51: 436-440. Sims D.W. and Merret D.A. (1997) Determination of zooplankton characteristics in the presence of surface feeding basking sharks Cetorhinus maximus. Mar. Ecol. Prog. Ser. 158: 297-302. Sims D.W. and Reid P.C. (2002) Congruent trends in long-term zooplankton decline in the north-east Atlantic and basking shark (Cetorhinus maximus) fishery catches off west Ireland. Fish. Oceanogr. 11:1: 59-63. Sims D.W., Southall E.J., Richardson A.J., Reid P.C. and Metcalf J.D. (2003) Seasonal movements and behaviour of basking sharks from archival tagging: no evidence of winter hibernation. Mar.Ecol.Prog.Ser 248: 187-196. Sims D.W., Southall E.J., Quayle V.A. and Fox A.M. (2000) Annual social behaviour of basking sharks associated with coastal front areas. Proc.R. Soc. Lond B. 267: 1897-1904. Sims D.W and Quayle V.A. (1998) Selective foraging behaviour of basking sharks on zooplankton on a small scale front. Nature: 393: 460-464. What does Hannibal Lecter, Ernest Hemmingway and I have in common? A taste for fava beans and a nice Chianti? (Chianti – yes), renowned literary skill? (pah! If only!). The answer is in fact the islands of Bimini, Bahamas situated 50 miles off the coast of Florida, North & South Bimini are the smallest habitable islands in the Bahamas with a total area of 9-square-miles and just over 2000 inhabitants. Hemmingway began visiting the islands in 1935 and spent time fishing and writing, whilst angling he garnered knowledge which contributed to the creation of Old Man and the Sea and Islands in the Stream. An Atlantic Blue Marlin caught off Bimini weighing in at 500lbs was allegedly the inspiration behind these novels. The final scene of Silence of the Lambs see’s Dr Lecter calling Agent Starling from a payphone on a tropical island, that island being North Bimini. 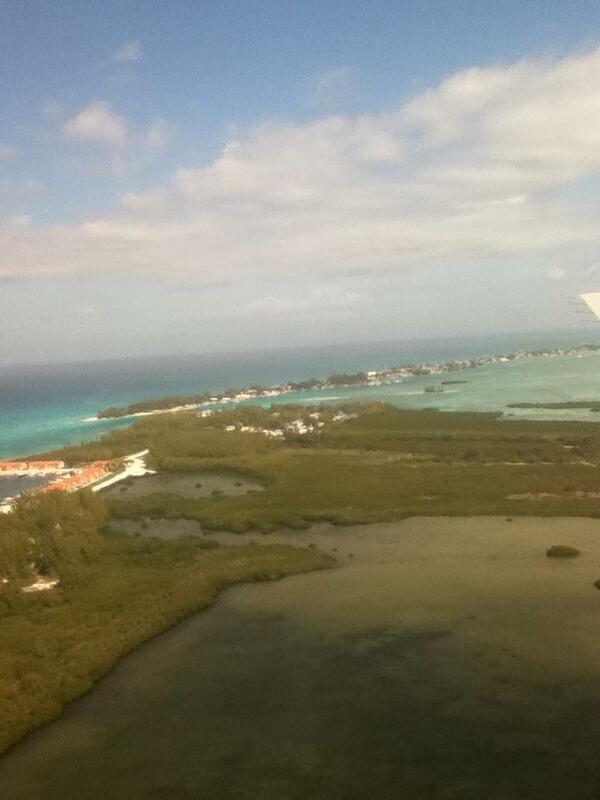 So what is it about Bimini that resulted in my visit, or to be more precise – my return visit? I had first gone to Bimini when I was conducting research for my PhD in 2006, I was staying at the Bimini Biological field Station (Shark-Lab) founded by “Doc” Gruber and was tracking juvenile Lemon Sharks and investigating their depth utilization. Bimini is a well known Lemon Shark nursery area first recorded by Doc in the 1980’s, however in addition to the Lemon Sharks the Bimini Islands are a marine biologists and even more so a shark biologists dream, in shallow, clear waters you can see Nurse, Blacknose, Blacktip, Caribbean Reef, Tiger & Bull Sharks as well as Rays, Sawfish and the reason for my trip this time, the Great Hammerhead (Sphyrna mokarran). There has been talk of Great Hammerheads visiting the waters around Bimini from January through to March for decades, and long is the legend of South Bimini Islands “Harbour Master” a huge Hammerhead patrolling the docks for fishermen’s scraps. 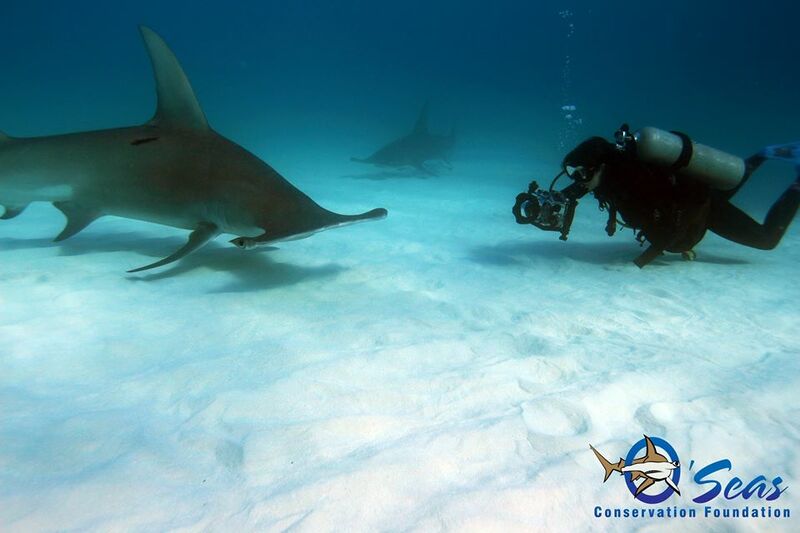 However it has only been the last few years that the area has emerged into the main stream and has become recognised as the place to dive with aggregations of Great Hammerheads. I was there with Dr Craig O’Connell founder of O’Seas Conservation foundation and his team (Guido Leurs founder of Oceaware, Marcella Uchoa and Rachel Jacobson), I had first met Craig on my initial visit to Bimini and having kept in touch and collaborated on a research paper together it was a fitting place to catch up in person! We has rented a boat and were observing and photographing animals in situ by freediving and SCUBA diving. 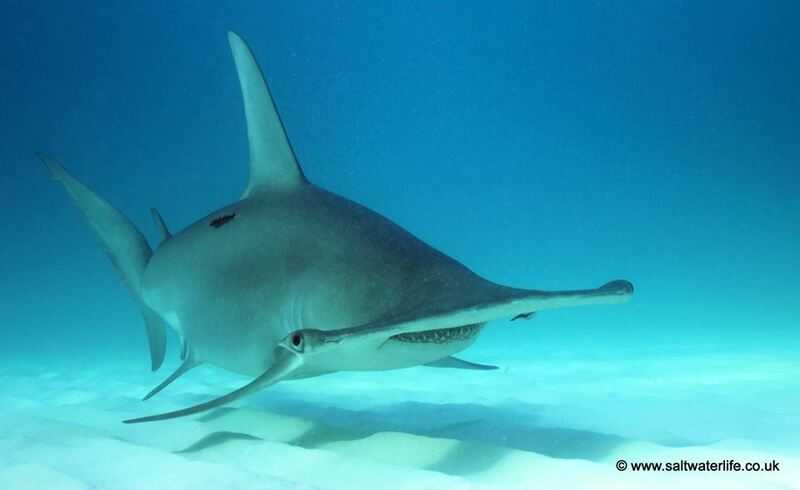 Put simply, my dives with the Hammerheads blew me away!! Once the bait had gone in the water we were inundated with nurse sharks typically after only a couple of minutes, on average we only had to wait around 20 minutes until the unmistakable outline and approach of the Hammers were spotted from the boat, a speedy kitting up and grabbing of camera equipment ensued (with a quick nod to the O’ring gods) and we descended down to the white sand with depths around 6m. Seeing these animals up close in the water was incredible, I certainly don’t possess the vocabulary or the literary skill to do them justice, they are truly humbling and awesome. On each dive Hammers exhibited different behaviours and swimming patterns which allowed for some fantastic photography opportunities , unlike the more classic shark body shape the angles and form of the Great Hammerheads combined with the sunlight filtering through the water and the approach of the sharks created the potential for yet another different and interesting shot, the opportunities were endless! 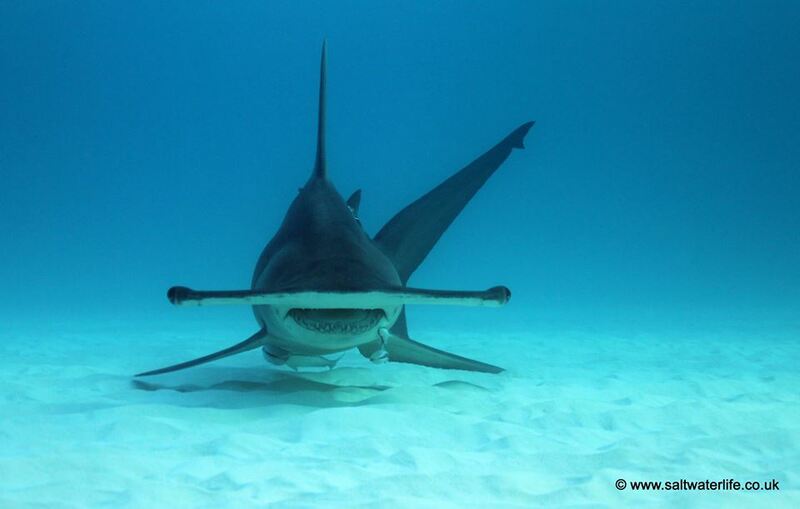 Sphyrna mokarran is the largest species of hammerhead shark, capable of attaining a total length of just over 6m (20ft) with 4m being a more usual maximum length. They are unmistakable with the straightness of the front margin of their head combined with their enormous sickle shaped first dorsal fin, they are a coastal pelagic and semi-oceanic species, considered to be an opportunistic predator feeding on a variety of prey including; stingrays and other batoids, small shark species, groupers, toadfish, jacks, crabs and squid etc. Males reach maturity around 2.5m and females around 3m, females breed every 2 years and have an 11 month gestation period (they are viviparous – pups nourished with a yolk sac placenta), litter size ranges from 6-42. S. mokarran is classified as endangered by the IUCN Red List with a declining population trend, animals are taken as by-catch and as a target species in longline, fixed bottom net, hook & line, and pelagic and bottom trawl fisheries. Their fins are highly prized for shark-fin soup. 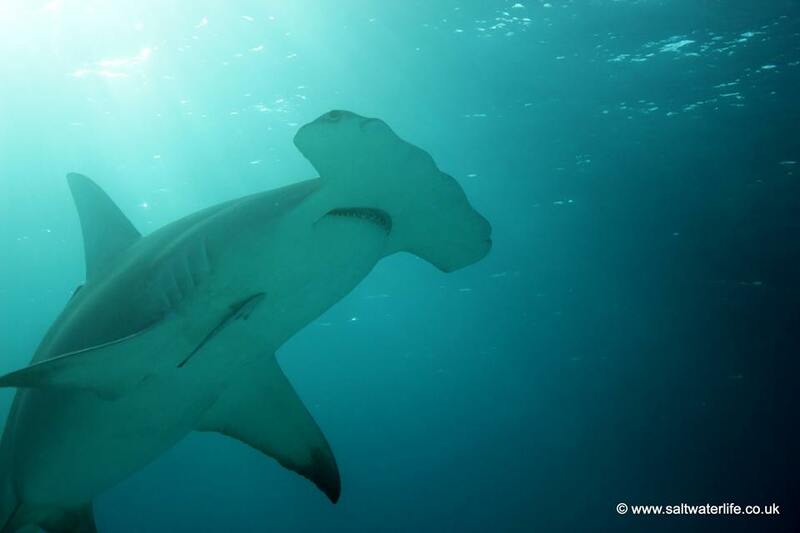 These fishing pressures coupled with the Great hammerheads size at maturity and low fecundity make it extremely vulnerable, global population declines range from 79-90% in the last 25 years. In 2014 S. mokarran was listed on CITES Appendix II, which includes a list of species that are not necessarily now threatened with extinction but that may become so unless trade is closely controlled. International trade in specimens of Appendix II species may be authorized by the granting of an export permit or re-export certificate. No import permit is necessary for these species under CITES (although a permit is needed in some countries that have taken stricter measures than CITES requires). Permits or certificates should only be granted if the relevant authorities are satisfied that certain conditions are met, above all that trade will not be detrimental to the survival of the species in the wild. On the subject of protection I worry about the future of Bimini and its marine wildlife, since I first visited the island 9 years a lot has changed. A Malaysian consortium (work originally began by “Bimini Bay Resort” but is now “Resorts World Bimini”) was granted approval to build a resort, casino, marina complex designed to attract 500,000 tourists a year, as a result mangrove habitats have been destroyed (essential shark nursery areas) and dredging of channels for cruise ships has taken place with the resulting repercussions on the coral reefs and critical habitats for other species such as lobster, grouper, and conch not to mention the natural storm protection for the island itself. Bimini is a place with the power to turn dreams into a reality, my sincere hope is that people in positions of power will recognise the true beauty of Bimini and conserve it so that these Islands will never be referred to in the past tense, as a paradise lost…. Are sufficient numbers being lost to seriously threaten the species? What measures have been taken to protect Prionace glauca? Over 8 years ago I wrote an essay on the conservation status of the Blue Shark (Prionace glauca), the essay formed part of my BIOL3301 module, which contributed to my final year studying for my BSc in Marine Biology and Coastal Ecology degree at the University of Plymouth. The essay in its entirety can be read below (excuse the format!). Recently whilst training for a charity swim event (Banff Bay Swim for the Shark Trust) i began wandering how much has changed for the blue shark and its conservation status, since i first completed that assignment. Upon reviewing the current literature i discovered that Prionace glauca is still classed as ‘Near Threatened’ by the IUCN Red List 2012, however this classification is based on data from 2005. The species is commonly thought to be the most heavily fished shark species, it is estimated that a 6.2-6.5 million blue sharks taken annually by high seas fisheries globally has risen to nearer 20 million. They account for 34% of the large pelagic catch in the Mediterranean (Megalofonou et al 2005), are amongst the top 3 most frequently caught species in the tuna and swordfish fisheries of the Pacific Ocean (Ward et al 2004), account for 34% of the total catch weight in Canadian large pelagic fisheries (Campana et al 2006), make up around 10% of the total catch weight in US fall fisheries for tuna and swordfish (Kerstetter and Graves 2006) and about 59% of the catch in Japanese tuna longline fisheries (Matsunaga and Nakano 2000). Due to the low commercial value of the meat however most of these sharks were/are discarded at sea (Campana et al 2009). Worryingly these are the figures being quoted for those sharks caught as by-catch, what is more difficult to ascertain is the numbers caught and targeted for the shark fin industry. With the demand for shark fin still growing (thought to be increasing by 10% each year, with shark fins fetching 500 Euro’s a kilo when dried and a bowl of soup fetching $100 on the Asian market) coupled with the high catch rates of this species it stands to reason that the blue shark is providing a significant number of fins for the market. On the positive side there is an ever increasing public awareness of the shark fin trade and the need for conservation management of sharks, skates and rays worldwide. However this awareness has also pushed the fin trade further underground with many illegal finning operations being conducted within so called protected areas (eg: Costa Rica). Significant developments in tagging procedures have allowed a lot more to be learnt about the life history and behaviour of the blue shark (Stevens et al 2009, Campana et al 2009, Campana et al 2011) especially in areas where data was previously lacking i.e. the North East Atlantic (Queiroz et al 2010). Although this allows informed conservation management, the reality of this is that unless protected areas for example with no take zone’s, are properly policed, regulated and enforced, they will make little difference. A prime example is the EU shark finning regulation passed in 2003 – at first glance a good positive step, until you take a closer look and realise that unless identified loop holes are addressed and changed, the regulation is nigh on useless. It is much more lenient than those imposed by other international bodies and with EU fishermen thought to be responsible for supplying a third of the Asian fin trade a poor regulation such as this is sealing the fate of millions of sharks each year. For instance; Permits were issued by countries to specific fishing boats allowing finning to continue despite the regulation (many countries have since stopped the issuing of permits with Spain and Portugal the only ones left still participating in this). The EU regulation states a 5% fin to dressed body weight ratio (with fins allowed to be removed at sea, although the body of the shark must also be landed), which equates to about 2% of the whole weight. Dressed weight is the weight of the shark after its head and guts have been removed, whereas whole weight is the weight of the shark with head and guts intact and fins attached. Imagine a whole shark weighing 100kg, it would weigh around 40kg dressed, a primary fin set (the pectorals, first dorsal and lower caudal) would weigh up to 2kg and would therefore make up 2% of the whole weight and 5% of the dressed weight. However the EU regulation states 5% of the whole weight meaning the fin weight would be 2.5x more than in reality. Thus allowing fishermen to continue finning additional sharks and discarding their bodies until the 5%(kg) allowance of fins for the 40kg dressed weight shark, whilst still remaining within the law! On top of this it is also legal to land fins and carcasses in separate ports a further loophole to complicate enforcement and undermine the existing policy. A simple solution would be for the regulation to state sharks must be landed with fins attached, this is something which has been sent for approval by the EU parliament in March 2012. In short it would appear we are still someway way off from providing effective conservation management worldwide of shark species and the shark fin soup market continues to be an ongoing battle. Prionace glauca is under an immense amount of fishing pressure and the question still remains about how much more this species can take…. The blue shark (Prionace glauca) is a large pelagic carcharhinid that is widely distributed in the world’s oceans (Skomal and Natanson 2003). They are found in both temperate and tropical waters, predominantly in the open ocean, but also within inshore coastal areas. With their distribution, and movements, being strongly influenced by seasonal variations in water temperature, reproductive condition and availability of prey (Kohler et al 2002). Despite being recognised as some of the most abundant, widespread, fecund and faster growing of the elasmobranches. They are still classified as being at risk (near threatened) by the IUCN (International Union for the Conservation of Nature, a global union of States, governmental agencies and non-governmental agencies in a partnership that assess the conservation status of species), Red List Assessments, 2000. Due to them being the most heavily fished sharks in the world. With the impact of an annual fisheries mortality of an estimated ten to twenty million individuals, which is undoubtedly having an adverse effect on the world population, and thus causing considerable concern over the removal of such large numbers of this likely keystone predator from the Oceanic ecosystem (Anon 2000). There are two main factors recognised as the cause for such a high mortality rate in P. glauca; (i) The commercial practice of finning and (ii) The incidental capture by fisheries targeting other species. Finning is the process of removing and retaining the fins of a shark and then discarding its body at sea, where unable to move it will drown and bleed to death. Given that the fins comprise only a small proportion of the shark’s body weight the remaining 95-98% of the animal is essentially wasted (Carwardine and Watterson 2002). This practice is derived from the far Eastern tradition of serving shark fin soup as a means of honouring guests or occasions. However since the mid 1980’s demand has increased immensely with a reported global trade in fins increasing from 3,011 tonnes in 1980 to 11,732 tonnes in 2000 (Anon 2003b), partially as a result of the economic successes of some countries, notably China and Hong Kong (the latter being regarded as the world shark fin trade centre, accounting for an estimated 50-80% of all fins traded worldwide (Anon 2003c)), therefore more people can afford these so called luxury items. Commercial fisheries using drift nets, purse-seine nets and longlines to catch other fish species, capture a significant number of sharks which are then considered by-catch. P. glauca are amongst the most common and dominant species of those sharks caught in this manner. This is related to their highly migratory nature and their wide distribution which make them incredibly vulnerable to this particular threat. For instance, from 1983-88 they represented nearly 95% of all the pelagic shark by-catch caught by Brazilian longliners in the South western Equatorial Atlantic (Hazin et al 1990). They were also the most dominant pelagic shark species landed by the New Zealand tuna longline fishery (Francis et al 2001), and in the Japanese longline fishery P. glauca accounted for 61-79% of by-catch and were also the most dominant shark species landed by all fishing methods in Japan (Matsunga et al 2003). Incidental capture is therefore is clearly a serious threat for P.glauca, however this factor accompanied by the commercial demand for shark fins outlines a problem far worse. Until recently P.glauca which were caught as by-catch were often thrown back alive (keeping large quantities of their meat is difficult since it ammoniates quickly (Anon 2002b), and it was estimated that 86% of these individuals survived (Carwardine and Watterson 2002). However now it is much more profitable for the fishermen to remove the fins. Therefore, there is little hope of survival for any P. glauca caught as by-catch. There are other contributors to P. glauca mortality; however these are smaller threats than those posed by finning and incidental capture. Such contributors include recreational fishing; in 2000 the U.S. recreational fishery landed 6,800 P. glauca (Cortes 2002), and the recent demand for shark products (excluding fins) such as shark liver oil, which is added to cosmetics and health care products as it is the nearest thing to natural skin oils, and shark cartilage which is being touted as a miracle cure for cancer (Bright 2003). An increase in demand for these products has the potential to become a serious threat; they also provide little reason for fishermen to throw back P. glauca caught as by-catch when a substantial profit can be made from other components of the shark as well as their fins. Various fisheries have compiled and recorded catch data of P. glauca, which has been published in both reports and journals, over recent years. However the data available is extremely limited and is concentrated only in certain areas, for instance P. glauca is well documented in the Pacific, South Atlantic and the North West Atlantic, but there is relatively little data available for the North East Atlantic (Henderson et al 2000). Also, the data has not been recorded in a uniformed way, some studies record P. glauca numbers (Hazin et al 1994, Francis et al 2001), while others record the body weight in tons (Matsunga et al 2003). This together with limited catch data; many countries having failed to record any data, and of those which have it is doubtful that all catch data has been recorded honestly when so much profit can be made on shark products by the fishermen, specifically trade in fins is largely unreported as the fins do not pass through normal landing channels and because most of the fin trade is conducted in cash to avoid tax and duties (Anon 2003b), does not provide substantial evidence capable of ascertaining whether sufficient numbers of P. glauca are being lost to cause a serious threat to the species. Despite this, two opposing views exist, for instance, it has been speculated that individual fisheries e.g. : the New Zealand tuna longline fishery are probably not seriously affecting pelagic shark stocks (Francis et al 2001) and the combined effort of fisheries within the same ocean are not even coming close to the maximum yield, for example the maximum catch for P. glauca set by the Pacific Fishery Management Council for the North Pacific is about 160,000 tons a year. A figure, considerably higher than those that are currently being recorded (Martin 2002). Regardless of what the figures suggest however, anecdotal observations from West Coast fishermen indicate that P. glauca are not as common off the continental US as they once were, and Sean Van Sommeran, the Executive Director of the Shark research Foundation, stated that P. glauca are now difficult to find having once been a nuisance by biting fish off the lines when rock fishing off the West Coast of the US (Martin 2002). However the sheer number of P. glauca being caught and killed is not the only focus of concern, the age of those being caught and killed poses a particular problem. Many juveniles who have not yet reached reproductive maturity get caught as by-catch and because fins of any size are valuable they are targeted for finning also. P. glauca are viviparous, meaning they give birth to live young that have hatched from eggs internally, males are believed to mature at 4-5 yrs and at lengths between 6-9 ft, and females from 5-6 yrs, and longer lengths of 7-10.5 ft (Anon 2002b). So, despite maximum catch numbers not being reached, if a significant proportion of those caught are juveniles which have not yet reproduced, then populations will be seriously affected. Unfortunately this appears to be something which has not yet been considered by the majority of fisheries, governments, organisation etc. If populations of sharks were to become permanently absent from specific areas, the consequences for the associated ecosystems are not yet clear, reports have suggested using computer simulation models, that the removal of sharks from an ecosystem would have catastrophic consequences for stocks of other fish species causing them to crash (Anona 2003a), whilst other reports state that there would be little effect on trophic structure or the abundance of other marine organisms within the ecosystem (Anon 2002a). However, with the application of shark management and conservation schemes the disappearance of entire populations will not occur. Over the past two decades sharks have become the salvation fishery, and as a consequence are now being over fished as quickly as the traditional resources (Carwardine and Watterson 2002). They are therefore in need of effective management and conservation programs. However, the management of shark species is a considerable challenge, predominantly as a result of their highly migratory nature, which necessitates the coordination of management across political boundaries (Anon 2002a), together with a general lack of baseline information about the practices employed in shark fisheries worldwide, incomplete data on catch, effort, landings, and trade and little information on the shark populations themselves (Anon 2001b). However despite this, in recent years a number of conservation and management programs have been devised. Few are concerned solely with P. glauca or highly migratory fish stocks but they do exist, for example; P. glauca are currently regulated in the commercial longline shark fishery on the East Coast of the US by the National Marine Fisheries Service (NMFS), to a limited landing of 136.5 metric tons, during the summer season. Also in September 2000, the US together with 24 other states and Taiwan concluded negotiations on the Convention on the Conservation and Management of Highly Migratory Fish Stocks in the Western and Central Pacific Ocean (MHLC). As part of the MHLC’s objective, they are investigating sharks caught as by-catch and recording data on catch, marketing etc. (Anon 2002a), which was previously unknown and therefore a positive step for P. glauca in particular. Other management programs are concerned with shark species in general, (including P. glauca). The majority tend to be split into two categories; those concerned only with finning, and others with the conservation of shark species overall. On December the 21st 2000, President Clinton signed into law the Shark Finning Prohibition Act, which states: Any person under US jurisdiction is prohibited from (i) engaging in the finning of sharks (ii) possessing shark fins aboard a fishing vessel without the corresponding carcass and (iii) landing shark fins without the corresponding carcass (Anon 2002a). This act was an important breakthrough and was used to encourage other countries to implement a ban on finning, in 2001, Peter Knights of WildAid called for a ban throughout the European Union (Anon 2001a). A subject which was eventually addressed in March 2003 in Brussels, when the EU proposed a regulation which would ban EU registered ships as well as non-EU vessels that operate in EU waters, from landing or selling shark fins that are removed on board. However, fishermen would still be able to remove fins providing they could prove that they were making efficient use of all shark parts by processing them separately on board, although the entire body would still have to be accounted for P. glauca stocks were also discussed and described as ‘declining alarmingly’ by British Liberal Democrat MEP Elspeth Attwooll, who drafted the bill (Anon 2003f). In response to the EU’s proposal, the IUCN issued an information paper in June 2003, suggesting the simplest way to implement a finning ban is to require that shark carcasses by landed with fins attached, making the possession of detached fins an offence. They believe that landing sharks and rays with fins attached will facilitate species identification, promote standardised data collection and reporting of official catch statistics, and thus eliminate potential enforcement loopholes. Despite differences of opinion existing in relation to the most appropriate management practices, by October 2003 finning bans existed (and still do) in South Africa, Brazil, Costa Rica, Ecuador, Palau, Oman, Canada, US, EU and most Australian states and territories (Anon 2003a). In February 1998, at the FAO (Food and Agriculture) committee on fisheries a decision was made to prepare an International Plan of Action for the Conservation and Management of Sharks (IPOA). The overall IPOA was/is to ensure the conservation and management of sharks and their long term sustainable use (Anon 2001b). This objective is reiterated by the US National Plan of Action (IPOA), formed in 2001, which is also primarily concerned with data collection and assessment to determine whether the level of total fishing mortality of shark, skate and ray species is sustainable (Anon 2001b). Such work is beneficial, and has allowed fisheries and other organisations to make informed decisions on their own management practices based on new information, for instance in 2003, the NMFS announced new regulations to decrease the annual catch levels of large coastal sharks in the Atlantic by 45%, and to prevent by-catch of juvenile sharks by closing certain areas at times when young sharks are around (Anon 2003e). Because of this however they removed the minimum catch size limit, believing time/area closure would provide sufficient protection for juveniles. However little is known about the age at which highly migratory species such as P. glauca leave these nursery grounds and it is doubtful that a substantial number will have chance to reproduce before becoming viable catch or by-catch. Despite recent steps being taken towards the conservation of shark species, it seems that too little is known about the species themselves for these schemes to be a complete success. At present the monitoring data which exists for P. glauca is inadequate to even assess the scale of a population decline (Anon 2000). Indeed the amount of research undertaken on P. glauca is limited in comparison with other shark species, this is partly due to them being so migratory and partly because they are not as well known as other species, greater knowledge of certain species (e.g. : the White Shark Carcharodon carcharias made famous by Peter Benchley’s bestseller Jaws) makes it easier to get support for conservation programmes etc. As long as finning is still allowed in certain Oceans (genetic markers have been developed from contemporary tissue samples to determine the origin of detached fins, thus facilitating detection of products from at risk species (Shivji 2002), then this will remain a major threat to P. glauca. This problem was addressed to the UN in 2003, suggesting an international ban in finning (Anon 2003a). However perhaps it would be worth attempting to tackle this problem at its source i.e. : by increasing public awareness, which may ultimately result in a decrease in demand. Research in 2001 by WildAid discovered that only 43% of consumers in Taiwan were aware that shark fin soup actually came from shark (Anon, 2001a)! A number of by-catch laws exist, although they do vary on factors such as, catch size limits. Considering the majority of P. glauca are killed in this fashion perhaps an international agreement may also be more appropriate here. 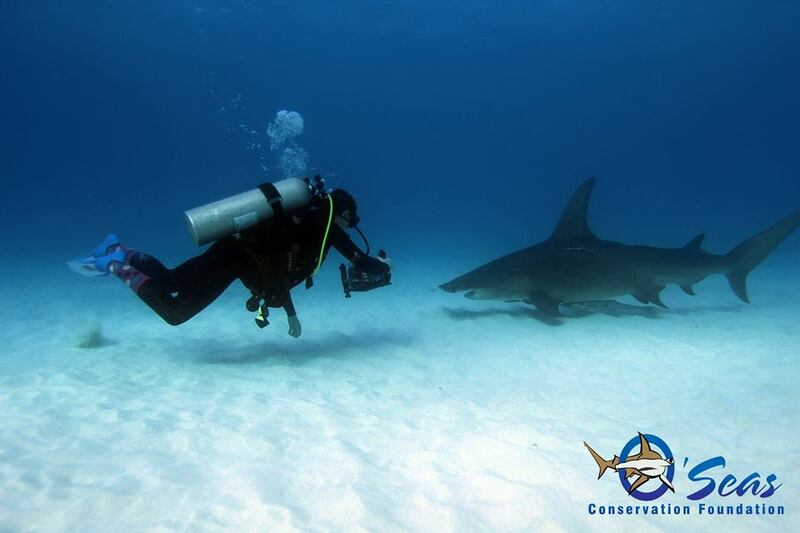 In order for accurate management practices to be developed to aid the conservation of P. glauca more data must be collected determining the number of individual sharks being killed. This can be achieved by accurate monitoring of ocean catches (Francis et al 2001). In addition to this, more information is required on migratory patterns, population and general life history. It has been suggested that P. glauca migrate in a purposeful manner, utilizing different stations for different parts of their life history, mating in the Western Atlantic and giving birth in the Eastern Atlantic off Spain and Portugal (Martin 2002). An expansion of this information, may lead to the restricting of fishing operations at certain locations and times of the year. Some organisations are currently monitoring P. glauca including ICCAT and NEFSC (North East Fisheries Science Centre), however it remains imperative for more to do so. A large scale tagging operation would allow life history information to be obtained. Recent advances in tagging methodologies, will further knowledge on shark movements and migrations, particularly in the areas of resource utilization and management, space utilization and population dynamics (Kohler and Turner 2001) all of which is required to benefit P. glauca in the long term. Over the past 40 years the NMFS have been collecting data on large Atlantic sharks by a cooperative shark tagging program, however in over 30 years only 128,000 sharks were tagged and only 6000 recaptured (Kohler et al 2002). Therefore, tagging needs to occur on a much larger scale concentrating on specific species such as P. glauca Investigation into the genetic effects that exploitation has had on specific species would also inform proposed management programs, for instance the employment of microsatellites could be used to compare previous samples too recent samples, informing conservationists of any significant losses of genetic variation. The conservation status of P. glauca is currently described as lower risk (near threatened) by the IUCN red list, however this is based on both inadequate and limited data, therefore the reality could be much worse, however a combination of increased data collection, monitoring, public awareness and management schemes will hopefully result in sufficient measures which will provide a stable and sustainable future for Prionace glauca.